Two people have died and dozens were injured after a pile-up involving some 100 vehicles on a foggy motorway in the US state of Texas. 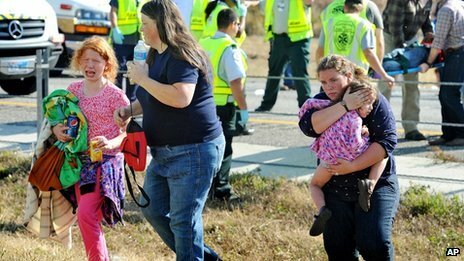 More than 50 people were taken to hospital and at least eight were critically hurt, local media report. It happened at Interstate 10 near Beaumont, about 80 miles (130km) east of Houston, on Thanksgiving morning. Rescuers scrambled to pull survivors from miles of wreckage, which left mangled lorries on top of each other. 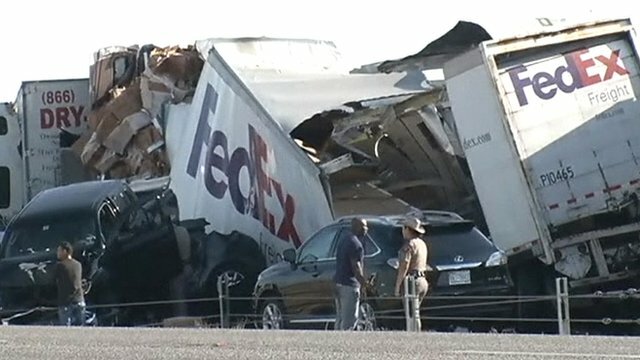 A man and woman died after their sports utility vehicle was crushed by a tractor trailer, reports KFDM-TV. Emergency services did not initially realise the scale of the carnage because of the dense fog. The motorway’s eastbound lanes were expected to remain closed for most of Thursday.